KDS updated his profile photo. KDS liked the project "The RHM Hack Archive". KDS posted on El Diabeetus's wall. KDS posted on Bela's wall. KDS posted on MrDollSteak's wall. KDS posted on Dizzy's wall. KDS liked the project "Pokémon Quasar". KDS posted on Linkandzelda's wall. With Gen VII coming, there will be a need to expand Ability IDs from bytes to halfwords. And if they add in more than 60 and we want to add them into Gen. 3, we could always use those 3 scrap bytes at the end of the structure as flags to tell the game to read from another table. Or something like that. 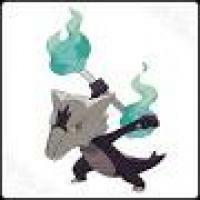 Loading pokemon abilities from an external table will be the way to go. The main issue to tackle would be to tweak the Battle Structure in RAM and modify loads of ability checks (in 100s) in the ROM unless you are going for a Battle System overhaul. KDS posted on Spherical Ice's wall.